They may not be taking over the world—at least not yet—but robots are getting smarter. And a growing number owe their "brainpower" to NIST. In 1991, a floor-cleaning robot became the first commercial "intelligent machine" influenced by NIST's real-time control system (RCS), a concept for controlling automation developed by NIST's Jim Albus, a leading robotics researcher. The RCS has a unique hierarchical structure that creates an efficient organization for knowledge-based intelligent control of complex systems. Other commercial machines based on this concept are improving the precision of shipbuilding, delivering hospital supplies efficiently, and keeping U.S. troops out of harm's way by clearing land mines in Bosnia. The RCS was among the influential technologies to emerge from NIST's Automated Manufacturing Research Facility, created in 1982 to provide a national testbed for R&D in computer-integrated manufacturing. The facility, which was co-sponsored by the U.S. Navy and involved research collaborations with industry and universities, has led to dozens of commercial products and many national and international standards. Among the contributions is the Standard for the Exchange of Product Model Data (STEP), which is designed to overcome interoperability problems that arise when automated systems attempt to share product and engineering data. These problems cost the auto industry alone about $1 billion annually. First released in 1994, STEP is a universal file format that supports computer-to-computer exchanges of all types of product data. Significant cost and process improvements have been reported by users. Guide Hall of the NIST Center for Neutron Research. 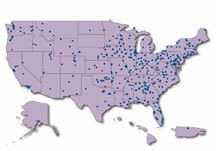 The NIST Center for Neutron Research (NCNR) serves more customers than all other U.S. neutron facilities combined. Beams of cold, slowed down neutrons pass through guide tubes (blue structures) to reach specialized instruments where they are used as probes to see material structures. From checking on food safety to nailing crime suspects to probing biological membranes, the NIST Center for Neutron Research (NCNR) has done practically everything a scientific facility can do—including some things that would be impossible anywhere else. The center offers a broad array of instruments and capabilities, some of which are unique in the United States and even the world. A special set of rare tools was added in 1991, when the Cold Neutron Research Facility was completed and became the first U.S. facility devoted solely to research with cold (lower-energy) neutrons. Neutron beams interact with the inner structures and dynamics of virtually any material, often revealing details that cannot be discerned in any other way. In its early years in the 1970s, the NCNR perhaps was best known for the use of "warm" neutrons in forensic investigations, such as the time when postal authorities matched specks of paint from a burglar's tool satchel with the paint at several post offices and broke up a burglary ring. Today, the center is pushing the frontiers of many fields of science. For example, research with "cold" neutrons has revealed molecular mechanisms involved in regulating muscle contraction and led to the development of improved additives that enable diesel fuel to remain fluid at subzero temperatures. Depth-profiling techniques led to the creation of a titanium nitride Standard Reference Material that now is used in semiconductor testing, meeting one of that industry's greatest needs. Magnetic measurements have helped to explain the origin of the behavior of materials exhibiting "giant magnetoresistance," the basis for ultrahigh-density computer hard drives. Pushing the limits of technology is NIST's forte. It paid off in a big way in 1995, when scientists at JILA, a joint program of NIST and the University of Colorado (CU), created an entirely new state of matter predicted decades ago by Albert Einstein and Indian physicist Satyendra Nath Bose. To make this new state of matter, NIST's Eric Cornell and CU's Carl Wieman cooled rubidium atoms to less than 1 millionth of a degree above absolute zero (the hypothetical point at which a substance would have minimal energy), as much as 300 times lower than ever achieved in other scientific laboratories. At a certain temperature, the atoms condensed into a "superatom" that behaved as a single entity. The achievement was made possible by laser cooling and magnetic traps, technologies that NIST played a major role in developing. Infrared lasers, similar to those used in compact disk players, were aligned so that the atoms were bombarded by a steady stream of photons from different directions. Once the atoms were slowed and cooled, they were kept in place by a magnetic field and further cooled until the condensate formed. A device the size of a keychain launched an industry-and giant strides in science and medicine-in 1996, when it became the first commercial "DNA chip." It did so with the help of NIST's Advanced Technology Program (ATP), which accelerates the development of innovative technologies for broad national benefit through R&D partnerships with the private sector. 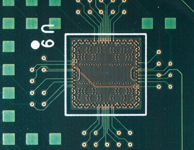 The DNA chip is so named because of its similarity to the tiny integrated circuit that fuels the electronics industry. The difference is in the application. The newfangled device enables the operation of a miniaturized biological laboratory that quickly analyzes the genetic makeup of blood or tissue samples. ATP funding also has led to other next-generation products for DNA analysis that have appeared on the market or in research laboratories, greatly advancing capabilities for research on human genetics, discovery of new drugs, improvements in agriculture, and testing of food and cosmetics. The new technologies are already up to 1,000 times faster than conventional methods, thereby saving time and money. They also are highly accurate and convenient. As noted in a recent journal article, the "godfather" of the burgeoning field of DNA diagnostics is the ATP, which helped companies advance their early research to a stage where commercialization (with other funding) would be feasible. The ATP has co-funded more than two dozen projects in DNA diagnostics, including one that led to the first DNA chip, and a number of the award recipients are leaders in the field today. Small manufacturing firms gained an important advantage in the 1990s in the form of NIST's Manufacturing Extension Partnership (MEP), which, according to an independent study, boosts the competitiveness of its clients beyond the average for companies of this size. The MEP helps these firms with everything from financial planning to plant layout to environmental studies. The services are offered through a network of more than 400 not-for-profit centers that provide small and medium-sized companies with access to more than 2,000 manufacturing and business specialists. In 1996, the MEP reached its goal of completing a nationwide network, enabling all of the more than 385,000 U.S. small manufacturers in the 50 states and Puerto Rico to gain access to MEP assistance centers. Through 1998, more than 84,000 firms have taken advantage of the services, which are fostering significant improvements in manufacturing and business performance. For example, in a 1999 follow-up study, 4,551 MEP clients reported increased revenues of $294 million, $29 million in labor and materials savings, and $20 million in inventory reductions, while also investing $291 million in modernization. These clients also reported creating and retaining more than 7,000 jobs. Three decades ago, U.S. fire losses were so large that a presidential commission was appointed to study the problem. The commission's 1973 report urged a greater emphasis on fire research, prevention, and education and set a national goal of reducing fire-related losses by at least 50 percent. A 50 percent reduction in the U.S. fire death rate was attained in 1997. A primary reason: Smoke detectors now are installed in more than 95 percent of U.S. homes, compared to fewer than 10 percent in the early 1970s. NIST researchers made this improvement possible beginning in 1974 by developing, with Underwriters Laboratories' participation, the first fire performance standard for smoke detectors and recommendations on the number, type, and location of home smoke alarms now found in all U.S. (and most foreign) codes and standards. NIST also worked closely with other government agencies, performing the technical work underpinning the first federal standards on children's sleepwear and mattresses and writing the U.S. Fire Administration's most popular educational booklets. Fire fatalities attributed to children's sleepwear have virtually disappeared, and those from mattress fires have been cut in half. For the Federal Railroad Administration, NIST also tested the fire safety of passenger train seats (see photo on right). The Institute's long-standing relationships with the private sector have helped to introduce less-flammable floor coverings into the marketplace; verified the value of fire-retardant additives in increasing escape time from fires; and produced the only validated method for quantifying the lethality of smoke, now routinely used in fire hazard analysis. In 1991, the U.S. printed wiring board industry was in trouble. The $7 billion industry with its 200,000 jobs was saved, according to the president of the National Center for Manufacturing Sciences, by a research project co-funded by NIST's Advanced Technology Program. According to a 1997 study, the joint venture led to dramatic efficiencies in research and development (a $35.5 million savings, or more than two and a half times the ATP investment), accelerated research, and produced significant technological advances. The project also enabled more than 30 research tasks that otherwise would not have been attempted. Atoms or molecules in a gas are difficult to study because they move so fast. The molecules in air, for example, move at about 300 meters per second, or 1,000 kilometers per hour. But by pushing on the gaseous atoms with laser light, scientists can slow the atoms down, cooling them to within a millionth of a degree of absolute zero. 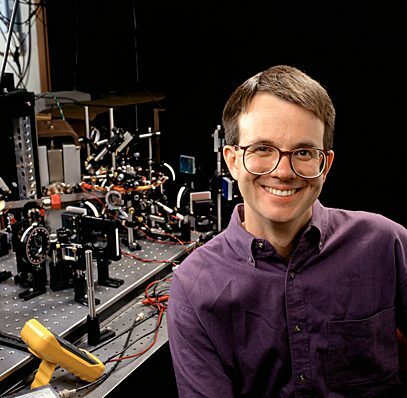 NIST physicist William D. Phillips won the Nobel Prize in physics in 1997 for his work on the development of methods to cool and trap atoms with laser light. 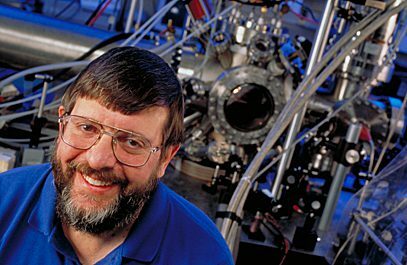 The discipline of cooling and trapping atoms, which emerged with the advent of laboratory lasers, was established in part by experiments with ions (electrically charged atoms) by David J. Wineland and others at NIST's Boulder campus beginning in the 1970s. Inspired by this work, Phillips and his team demonstrated both the trapping of atoms (which are electrically neutral) with a magnetic field and the cooling of atoms well below the temperature limits generally believed possible. The Nobel committee said the new methods of investigation developed by Phillips and two other 1997 prize winners "have contributed greatly to increasing our knowledge of the interplay between radiation and matter. In particular, they have opened the way to a deeper understanding of the quantum-physical behavior of gases at low temperatures." 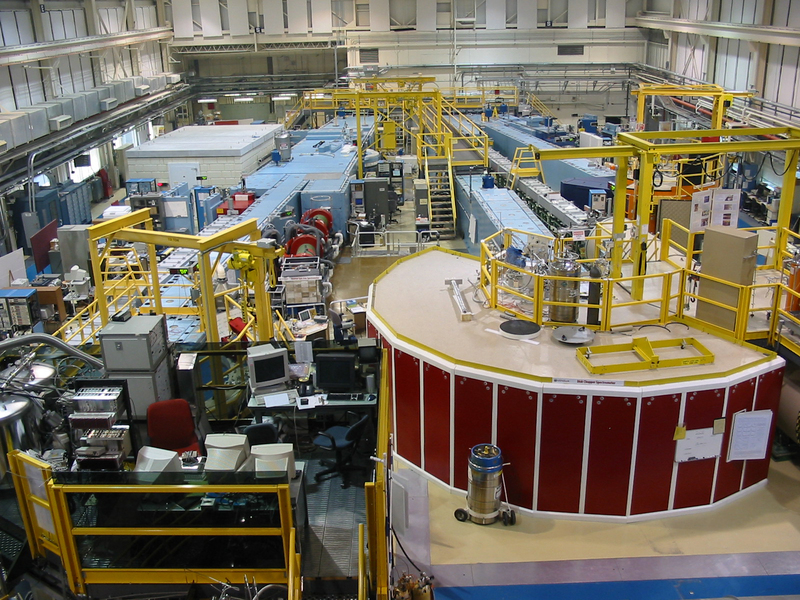 The research has enabled the design and construction of one of the world's most accurate clocks, NIST F-1, which is used by NIST (in cooperation with the Naval Observatory) to maintain the nation's time standard. In other experiments at NIST, laser cooling and trapping have been used to achieve a new state of matter. Some day, this research may lead to practical advances such as quantum computers capable of processing information in unique ways. 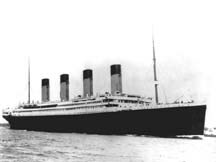 Since the sinking of the giant ocean liner Titanic in 1912, numerous theories have been advanced about the causes. NIST has one too—weak rivets. NIST metallurgist Tim Foecke's microscopic analysis of 48 wrought iron rivets recovered from the ship's hull have revealed that nearly 40 percent contained up to three times the amount of slag (the glassy residue left behind after the smelting of ore) allowed at the time. This made the rivets prone to premature failure. Titanic's collision with the iceberg may have caused the rivet heads to break off, opening seams and allowing water to rush in between the separated hull plates, speeding the ship's descent. Is the quality of American goods and services getting better? Yes, according to the non-profit Council on Competitiveness. The council credits the Malcolm Baldrige National Quality Award as a key mechanism in strengthening U.S. competitiveness. The Baldrige Award was established by the U.S. Congress in 1987 to recognize individual U.S. companies for their achievements and to provide quality awareness and information on successful performance and competitiveness strategies. Since then, the award, managed by NIST's Baldrige National Quality Program (BNQP) in conjunction with the private sector, has become the nation's premier award for business performance excellence and quality achievement. Since 1988, 37 organizations have received a Baldrige award. More than 1.7 million paper copies of the BNQP Criteria for Performance Excellence—which has been called "the single most influential document in the modern history of American business"—have been distributed, reflecting the impact of the program. (Additional copies are available in books, from state and local award programs, and for download from the World Wide Web.) The criteria span company leadership, strategic planning, customer and market focus, information and analysis, human resource focus, process management, and business results. Also in 1999, the program was expanded to include educational organizations and health care providers, promising important benefits to consumers. State and local quality programs—most modeled after the BNQP—have increased in number from fewer than 10 in 1991 to more than 50 in 1999. Forty-three states currently have programs. Internationally, nearly 60 quality programs are in operation, most modeled after the Baldrige program, including one in Japan.